The Memphis Branch of the St. Louis Fed is led today by SVP, Regional Executive Douglas Scarboro (middle, blue suit). 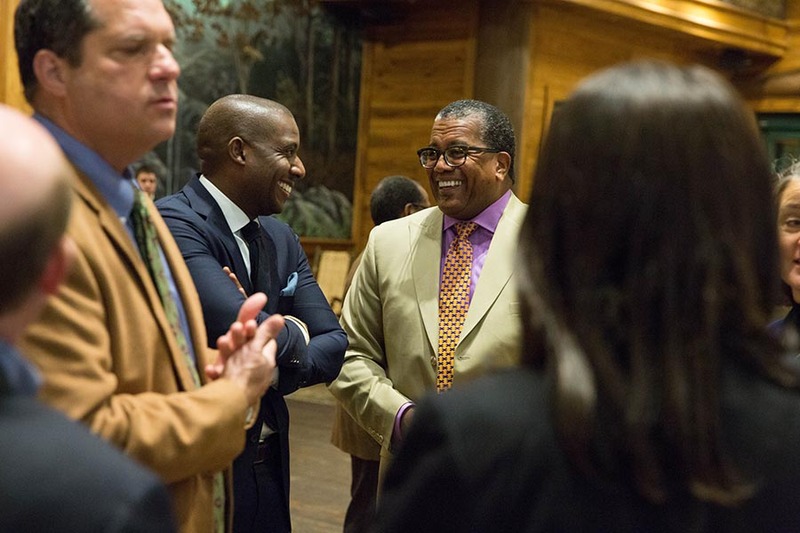 The Branch puts a priority on outreach to key business and community leaders in the Memphis community. The Federal Reserve Bank of St. Louis decided in 1918 to locate a regional branch in Memphis. The initial branch building at 109 Madison Ave. was a stone’s throw from the city’s booming cotton trade on Front Street, highlighting the city’s advantageous geographic location on one of four Chickasaw bluffs overlooking the Mississippi River. While Front Street no longer is busting at its seams with cotton merchants, Memphis continues to be in the center of action for the transportation industry due to its prime location, which includes: sitting at the intersection of five major freight railroads; being a main corridor along several interstate highways; serving as home to the world’s second-busiest international airport for cargo traffic; and offering direct access to the Mississippi River for barge traffic. Memphis is also the world headquarters for FedEx Express shipping. In addition, Fortune 500 companies AutoZone, International Paper and Service Master all call Memphis their home. The Memphis Branch of the St. Louis Fed is led today by SVP, Regional Executive Douglas Scarboro. Here, he addresses a group of bankers and business people. Now in its centennial year, the Memphis Branch of the St. Louis Fed is led by Senior Vice President Douglas Scarboro. “Our 90-plus member staff supervises banks, offers cash services for such institutions, participates in community development efforts, and provides economic education, among other duties,” Scarboro noted in the St. Louis Fed’s recent annual report. Today, the Memphis Branch of the St. Louis Fed is located at 200 North Main St. The mission of the Memphis Branch mirrors that of the Federal Reserve System as a whole: to promote a healthy economy and financial stability. Since President Woodrow Wilson signed the Federal Reserve Act into law on December 23, 1913, the Federal Reserve, through its 12 district offices around the United States, has been doing exactly that. A top priority at the Memphis Branch is to gather information on the economy in the Memphis area and pass it on to those in the St. Louis office who are involved in monetary policymaking and related research. “Gathering such information is also a major role of the Branch’s Board of Directors,” Scarboro noted in the annual report. “Representing all parts of the Memphis Zone, the seven members of our Board help us monitor the economic pulse of this part of the Midsouth. Similarly, we have business leaders from throughout the Zone who sit on the Federal Reserve Bank of St. Louis’ Industry Councils, which keep St. Louis Fed President James Bullard up-to-date on four industries that are especially key to the economic health of the Eighth Federal Reserve District: agribusiness, health care, real estate and transportation.” Due to the large number of transportation-focused businesses located in the area, the Memphis Branch specifically supports the Transportation Council. 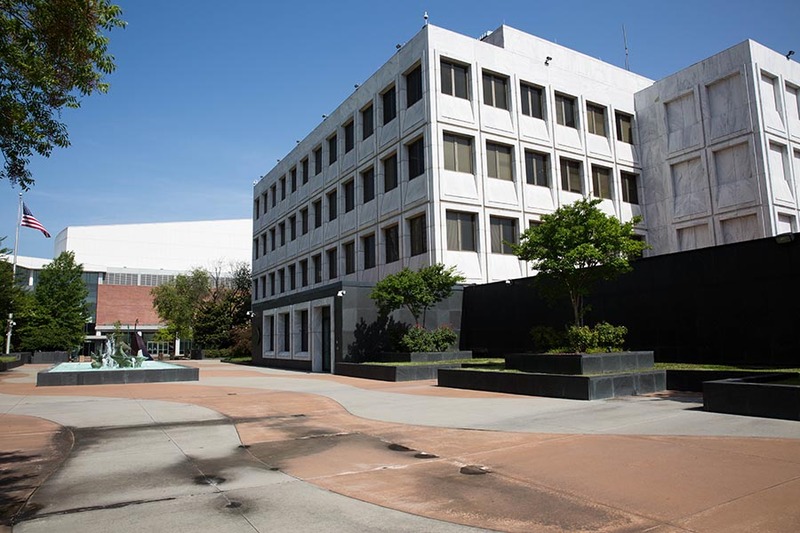 Surrounded by award-winning landscaping and sculptures, the Memphis Branch’s current building at 200 North Main St. opened in 1972. This sharing of economic information has led to a very healthy working relationship between Memphis and St. Louis. 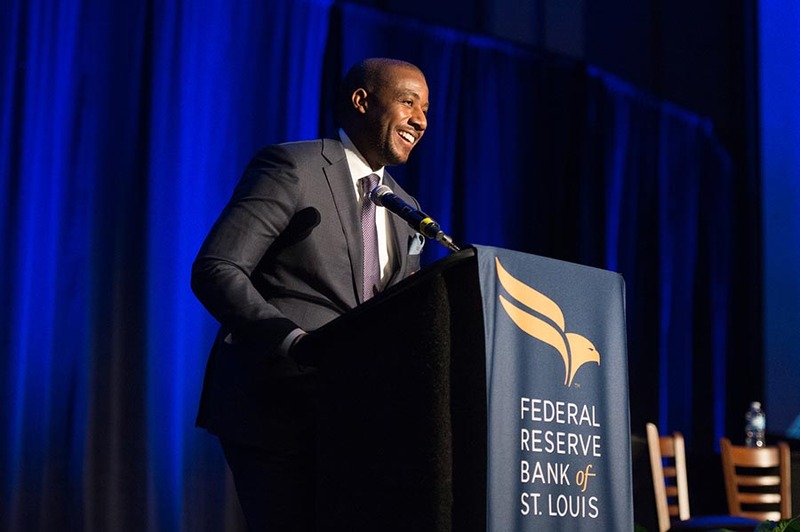 What the Bank president and his staff of economists in St. Louis learn is shared not only with their counterparts at the Branch, but also with business and civic leaders across the District as well as the general public. 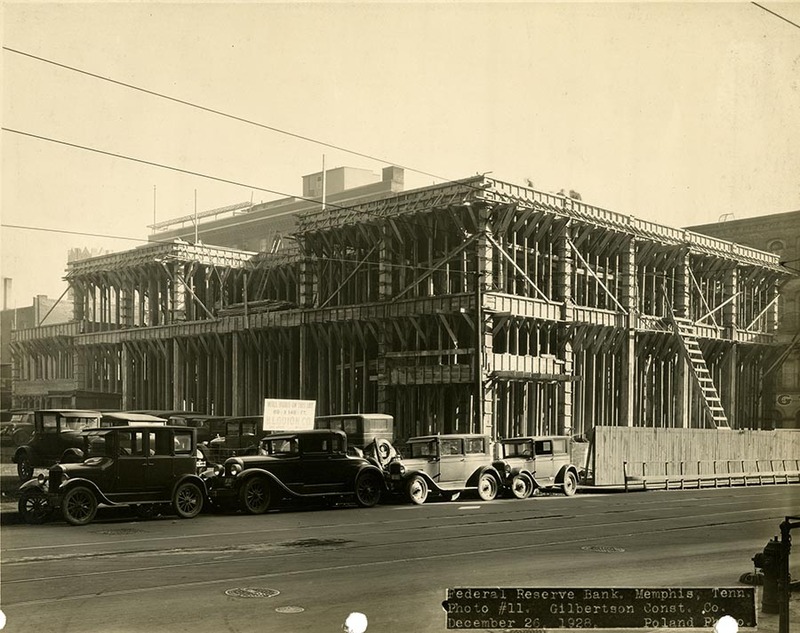 This building at Jefferson Avenue and Third Street, shown under construction in 1928, housed the Memphis Branch from 1929 to 1972. 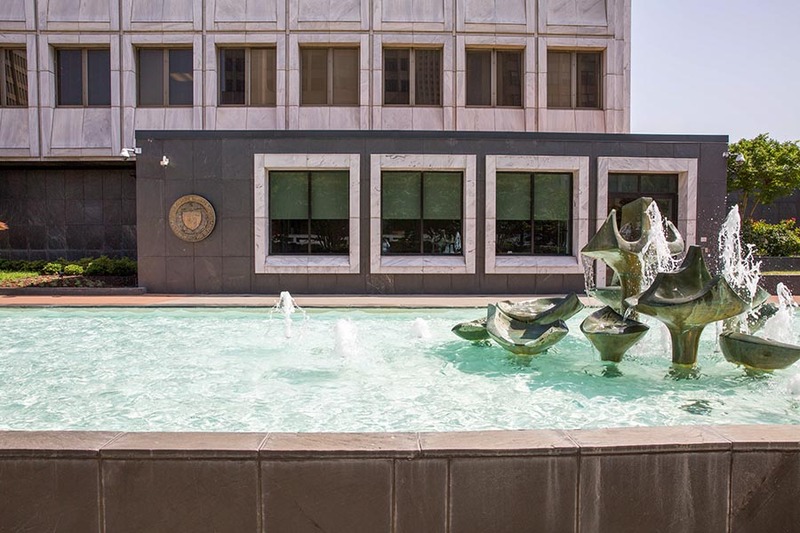 The Memphis Branch is active in serving not only financial institutions, but also educators, community development professionals, the wide variety of people who look to the Branch for economic research and data, and the public at large. To serve these audiences, the Memphis Branch has Economic Education staff who equip educators with economic literacy resources and tools that help students make smart economic choices, and Community Development staff who work to ensure that the Community Reinvestment Act (CRA) is being fulfilled. In addition, providing the public with access to economic information and data has long been an important goal for the St. Louis Fed. As it begins its next hundred years, the Memphis Branch of the St. Louis Fed looks to continue playing a central role in America’s economy. 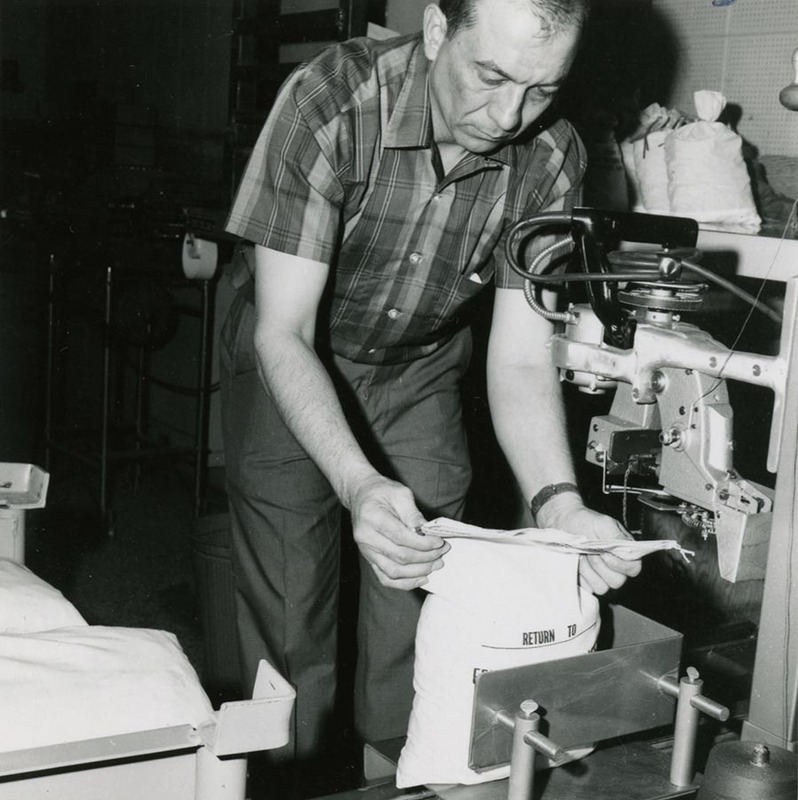 A Cash employee of the Memphis Branch sorts currency in 1967.